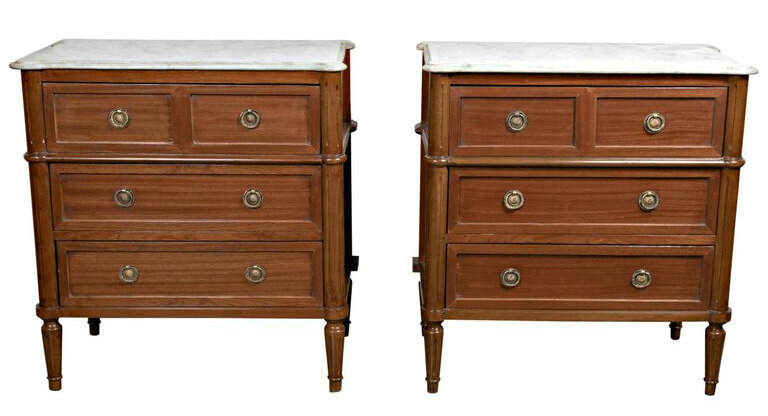 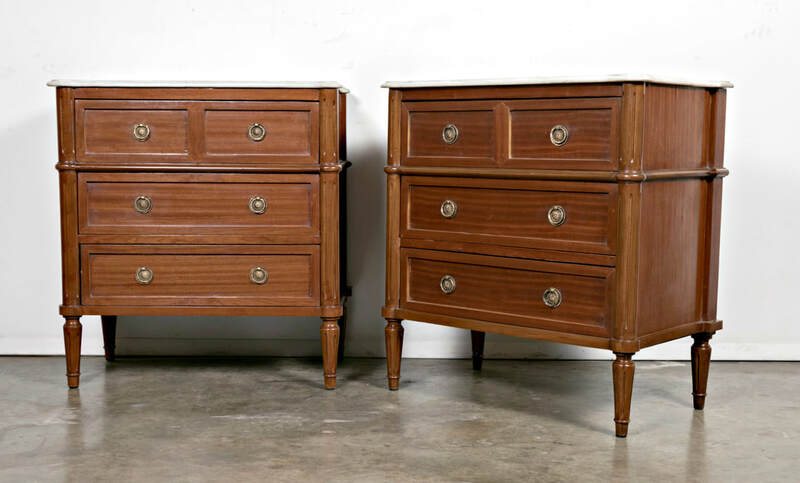 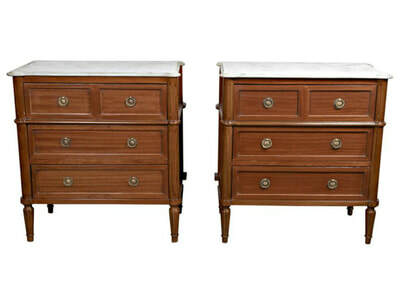 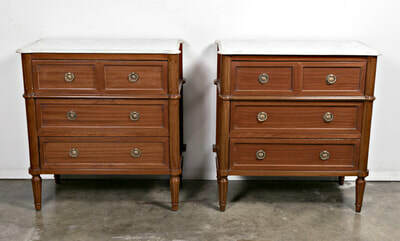 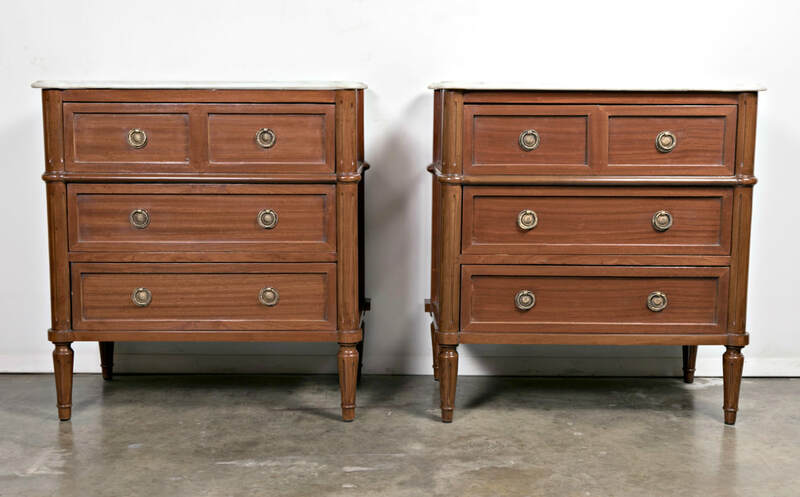 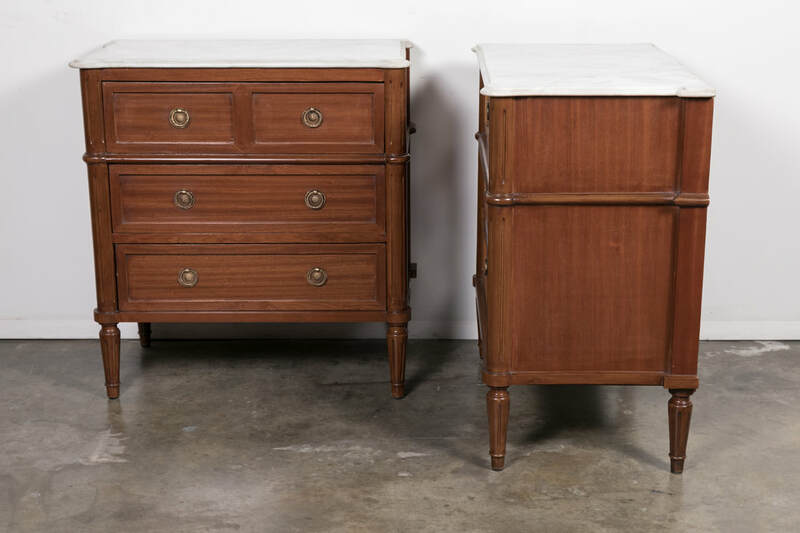 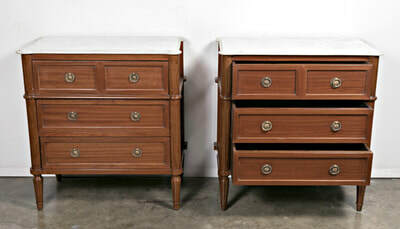 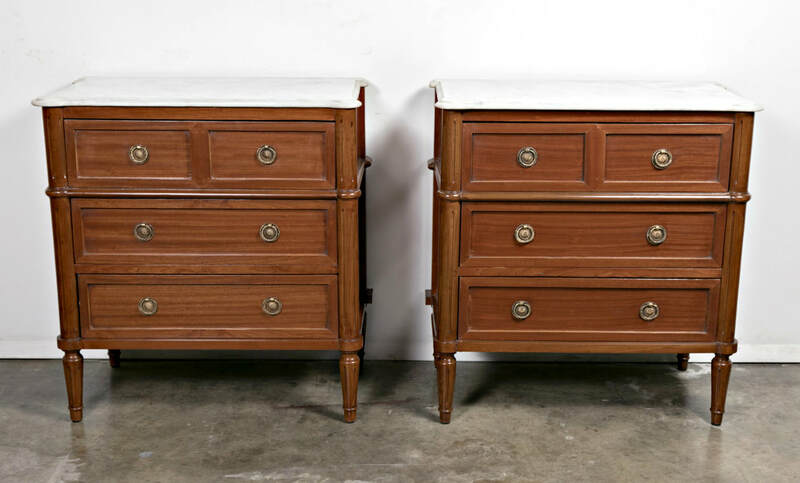 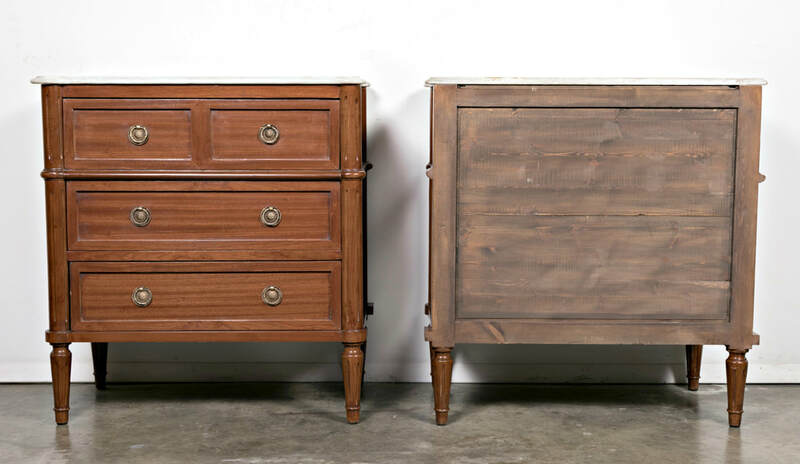 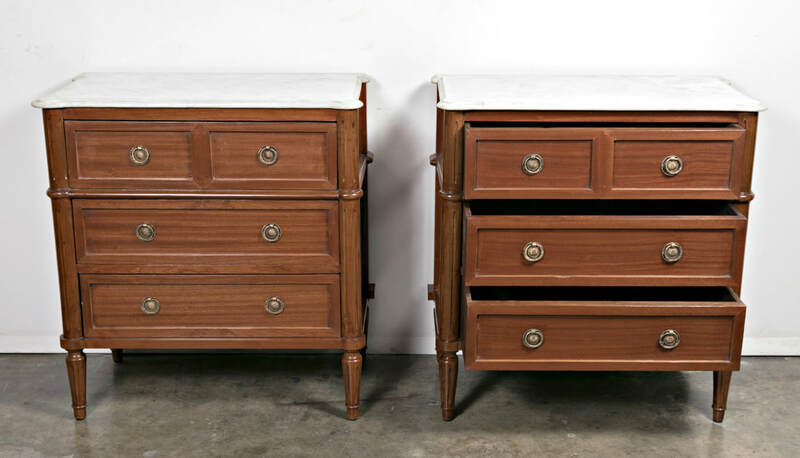 Pair of refined French three-drawer commodes expertly crafted by hand with richly grained mahogany in the style of Louis XVI, having a Carrara marble top. 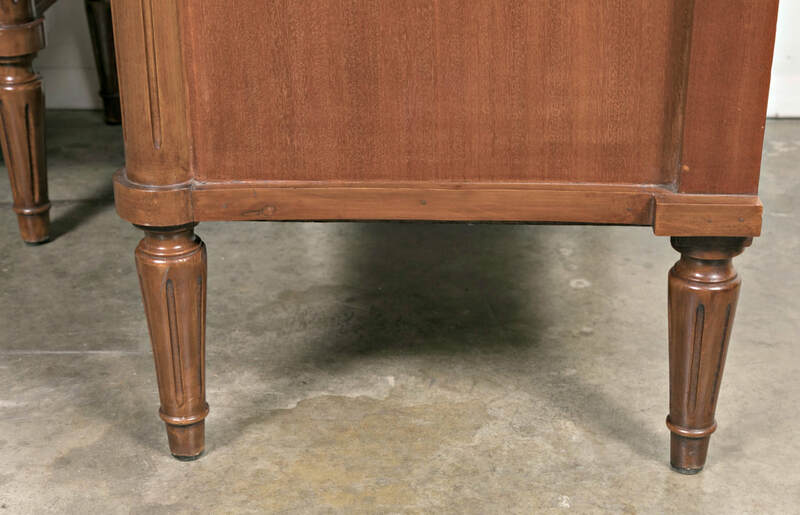 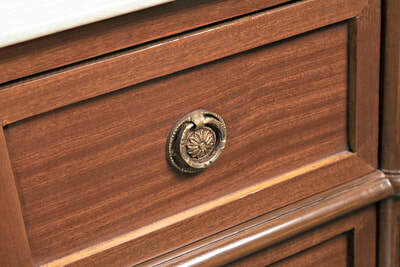 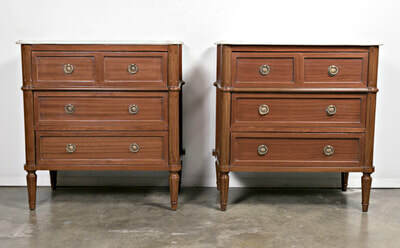 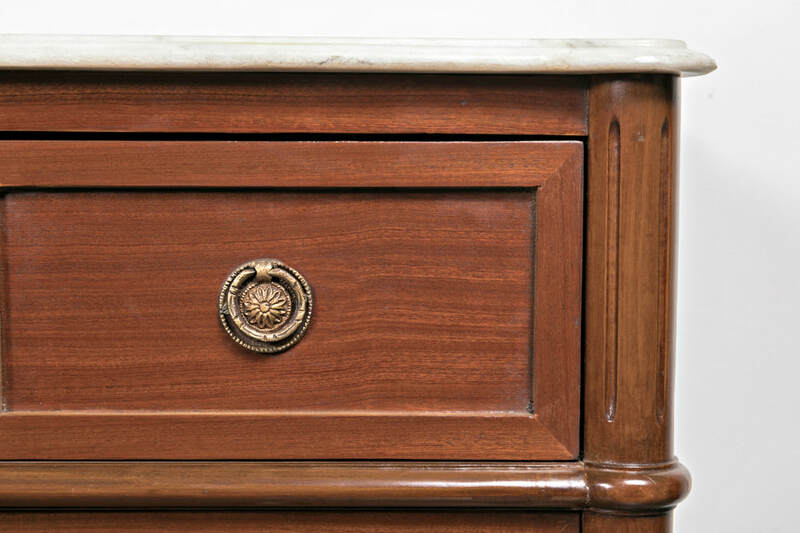 The three drawers retain the original bronze hardware. 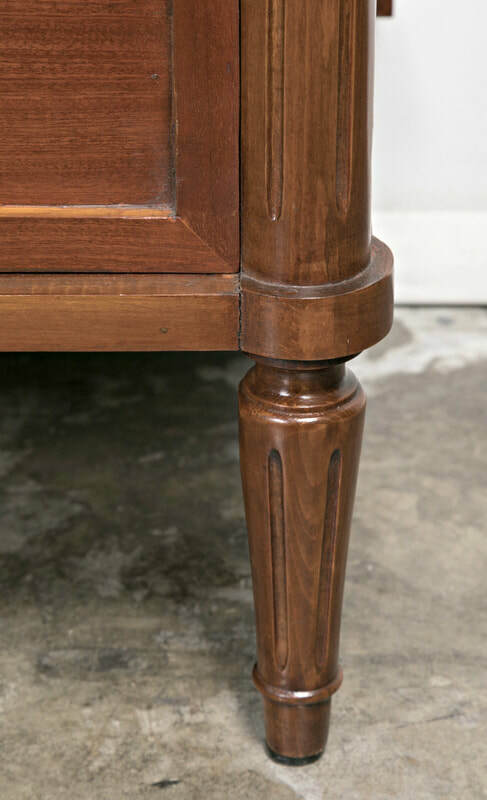 Supported on curved and fluted stiles sitting on turned toupie feet. 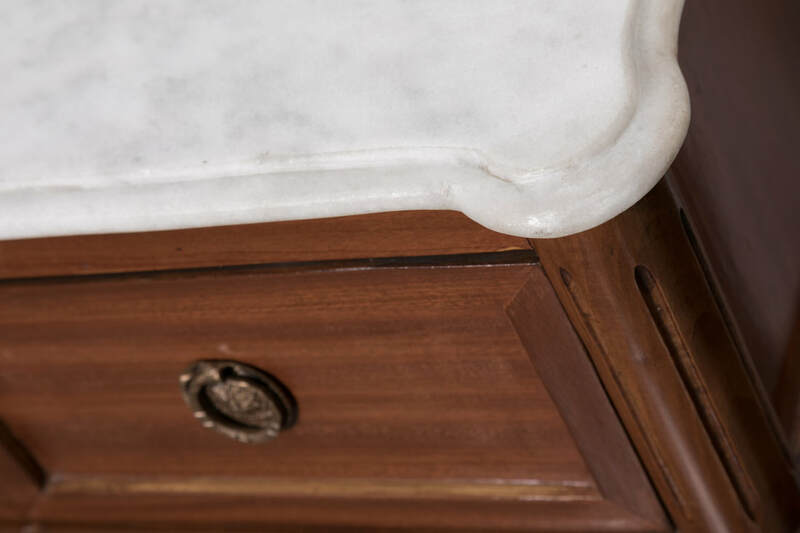 Exhibiting clean lines that work in countless styles of decor.